As with any artistic movement, the evolution of Hyperrealism can only be told in relation to the other influential art styles that preceded it. 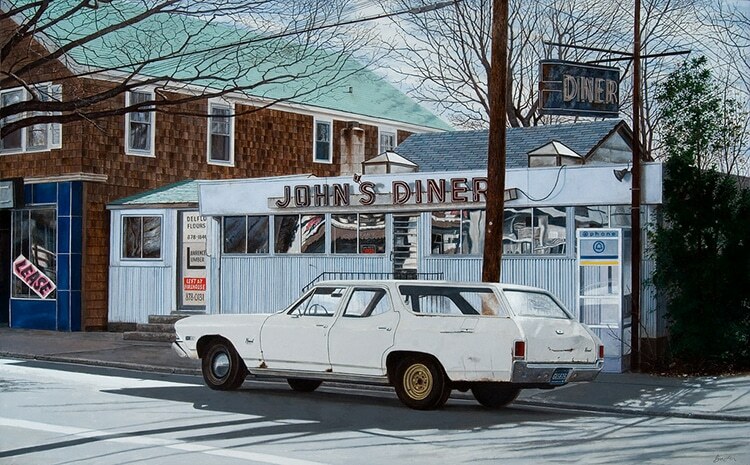 Hyperrealism traces its roots back through Photorealism, and Realism before that, sharing many of the same artistic traits, yet, its own distinct individual style. The rise of Hyperrealism correlates with the development of photography. While some realists of the late 1800s felt threatened by the new medium, American photorealists of the 1960s and ‘70s sought to immortalize photographic imagery by faithfully capturing their precision and detail in paintings and realistic drawings. By the early 2000s, Hyperrealists used advancements in high-definition photography as a jumping-off point into expressions of false realities that continue to astonish and amaze art lovers all over the world. So, when did the origins of Hyperrealism begin? The Realism art movement began in post-revolutionary France during the 1850s. Painters of the time rejected the dominant Romanticism style in favor of scenes that depicted the reality of daily life. These paintings, which may seem mundane today, were revolutionary at the time, as mainstream works of art depicted ancient mythology, religious imagery, and commissioned portraits of aristocrats, who were more-often-than-not painted in a way to favor their egotistic illusions, rather than their true likeness. Realist pioneers such as Gustave Courbet, Jean-François Millet, and Jean-Baptiste-Camille Corot painted ordinary surroundings, with ordinary people engaged in ordinary activities. 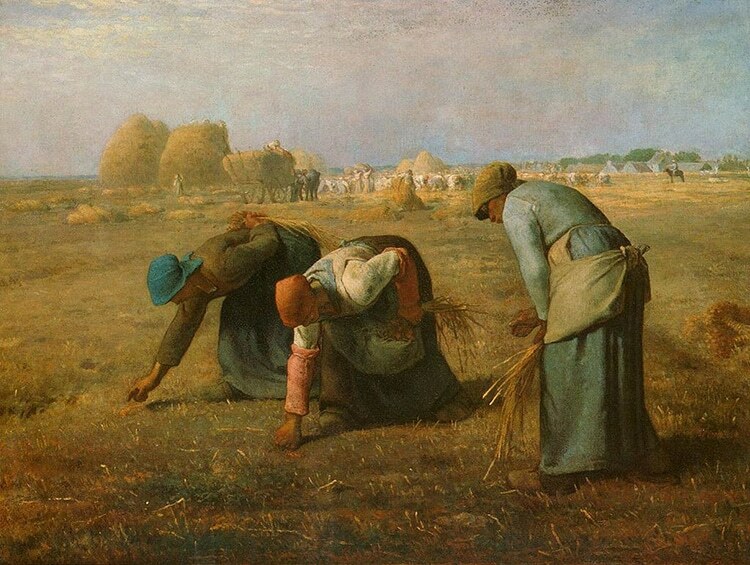 One of the most famous realist paintings—The Gleaners (Des glaneuses) by Jean-François Millet—depicts three peasant women gathering leftover grain from a field of wheat after the harvest. Painted on a large scale, often reserved for religious paintings, it represented the working class masses in a sympathetic light. In the long shadow of the French revolution, this made the upper class feel vulnerable, and as a result the painting was not received well at the time. 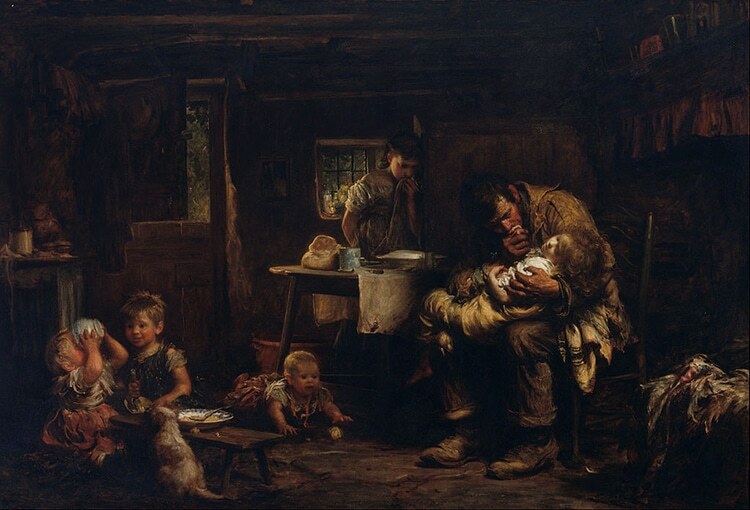 Equivalent movements started to evolve in other Western countries, where artists such as Hubert von Herkomer and Luke Fildes in Britain made paintings to highlight harsh social issues and unpleasant moments, often painted with dark, earthy palettes. In 1839, the invention of the Daguerreotype photographic process in Paris signaled the birth of photography, and technology started to influence artistic realism. Some painters felt pushed to compete with the new medium, while others embraced its influence. Photorealism is a genre of art whereby artists attempt to reproduce a photograph as realistically as possible. As a reaction to Abstract Expressionism, the term is primarily applied to the work of American artists during the late 1960s and early 1970s. Photorealism, along with Pop Art, were reactionary movements stemming from the overwhelming abundance of photographic media. By the mid-20th century photographic images were so prevalent in society, the medium threatened to lessen the power of imagery in traditional art. However, while Pop artists were primarily pointing out the absurdity of commercial imagery, Photorealists were trying to reclaim and celebrate the value of an image. The first generation of photorealists included American painters such as John Baeder, Ralph Goings, and Chuck Close. Similarly to the realists, their subjects were often familiar landscape scenes, portraits, and still lifes but with a modern twist, often set in urban rather than rural scenes. Audrey Flack, the only female photorealist at the time, depicted the transience of life through her representations of inanimate household items like tubes of lipstick and perfume bottles. 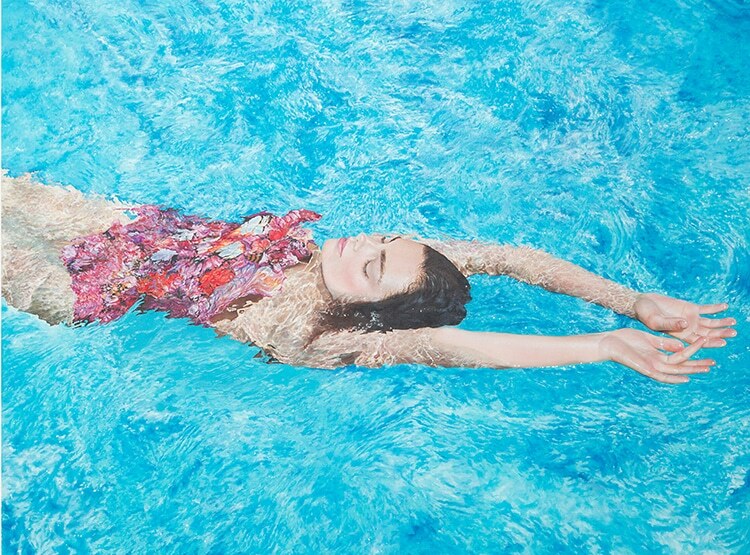 These artist’s impressive paintings incorporate photographic elements like depth of field, flash reflections, with some pieces even painted slightly out of focus. 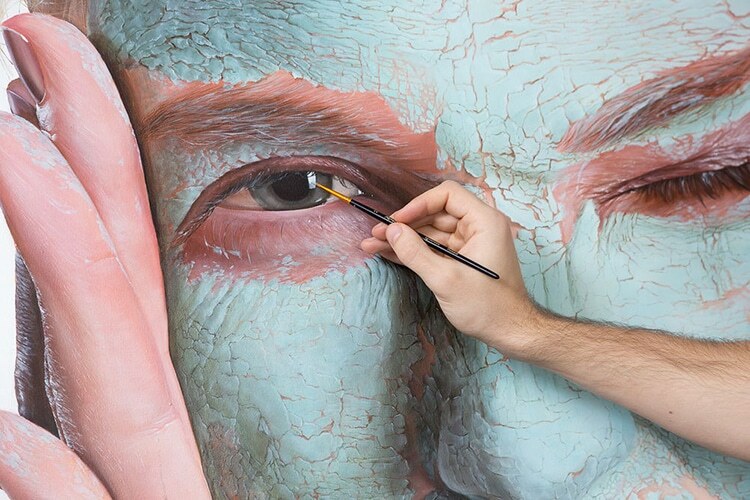 Hyperrealism is a relatively new art movement that began in the early ‘70s. It got its name in 1973, when Belgian art dealer Isy Brachot made L’hyperréalisme. It was the title for one of his major exhibitions at his gallery in Brussels, which featured work from American Photorealists, such as Ralph Goings and Chuck Close. Building on the work of photorealists, the Hyperrealism art movement rapidly evolved in the early 2000s alongside technology. These artists were able—and continue—to achieve the illusion of sharp, high-definition photographs thanks to advancements in computers, digital imaging, and software. 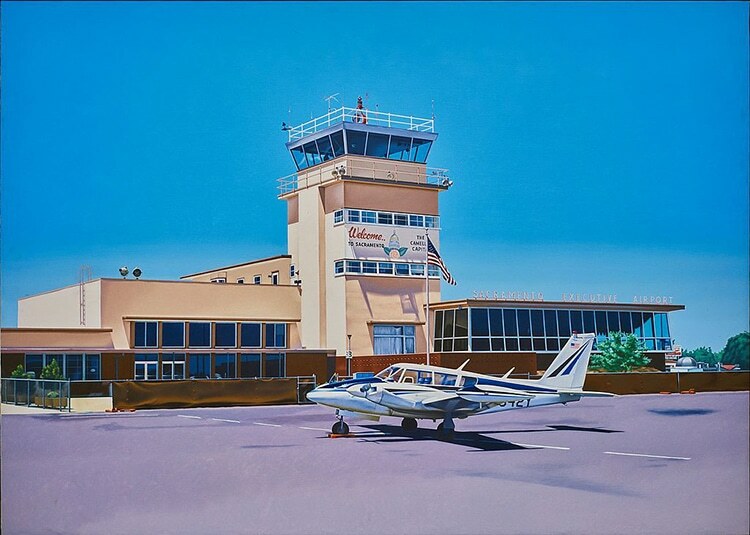 Unlike photorealist painters who take a literal approach to imitate their photo sources in every detail, hyperrealists use photographs solely as a reference. They aim to create a new, simulated reality, rendered with details that don’t exist in the original image. Textures, surfaces, lighting effects, and shadows are painted, resulting in art that appears as though it’s three-dimensional and tangible. With a broad range of themes, some hyperrealist artists evoke emotional, social, cultural, and political meanings in their art. 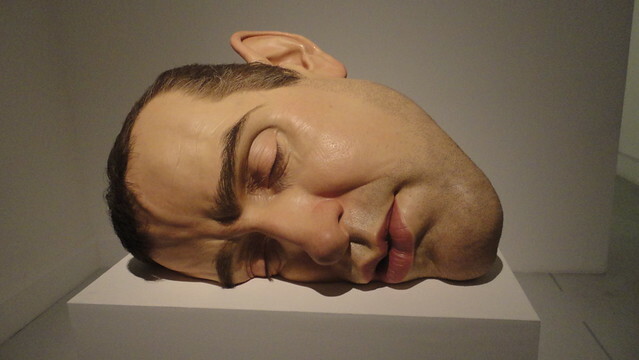 For example, Australian sculptor Ron Mueck creates larger-than-life, hyperrealistic sculptures of human beings. Often naked or in a state of unconsciousness, his figures present both emotional and physical states of exposure and evoke an uneasy feeling for the viewer. 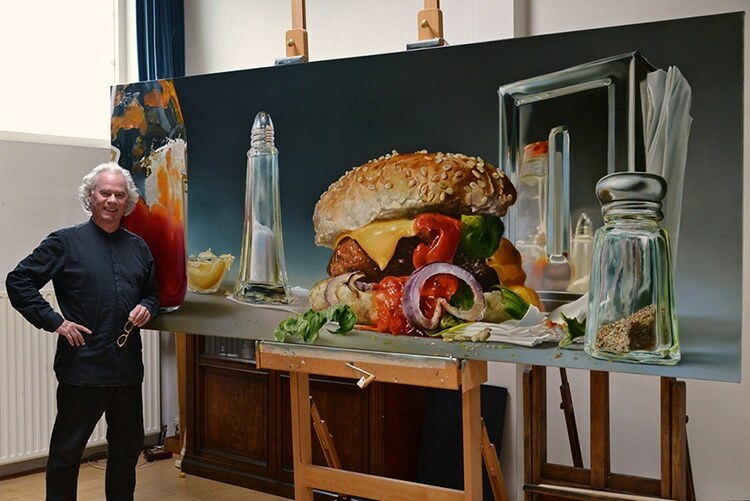 Other stand-out artists include Tjalf Sparnaay, whose mouth-watering paintings of food have been exhibited all over the world. 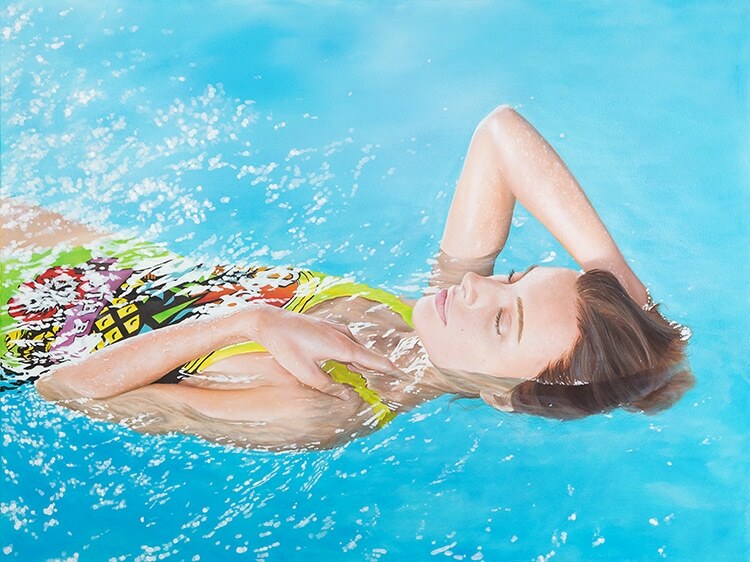 And Ukrainian artist Sergey Piskunov is a master of texture, creating hyperreal paintings of women swimming in sun-lit swimming pools. In another piece, a large-scale portrait of a woman details every crack in her clay face mask.